Mark Gold, a member of the Longmeadow Select Board sent the following letter to fellow town residents who have recently asked him to support and approve an updated Statement of Interest to renovate the existing middle schools or build a new school(s) or a combination of both. Thank you for your note asking me, and the rest of the Select Board, to support the School Committee’s middle school Statement of Interest (SOI) to be submitted to the Mass School Building Authority (MSBA). I believe that there is much about the MSBA’s school project consideration process that was learned from our high school project, and I think it’s important that residents remember what happened with that project. The fact that the town was not ready to move forward would be overwhelmed by those who insisted we must move forward with all deliberate speed least we lose the opportunity for partial state funding. So, in 2009, even when town residents had not sorted through the project details, the school committee moved forward. Lost in the memory of many residents it the fact that the MSBA’s analysis of the project was that the Longmeadow high school should be renovated, not replaced. This conclusion was described in a letter dated November 10, 2009 to Longmeadow School Superintendent E. Jahn Hart that stated, “The MSBA and its Consultant have believed that the Longmeadow High School has strong potential for renovation, and the conclusions of your feasibility study have not substantially altered that view.” On November 16, 2009, just a few days after that letter was received, a hastily gathered delegation of School Committee members, along with State Representative Brian Ashe, visited the MSBA to convince them that a renovation project was inappropriate. Armed with letters from Congressman Neal, State Senator Candara and others, the rest, as they say, is history. These letters and minutes of the meeting are now part of the public record. It was the outcome of that November 16, 2009 meeting between a few “new school” proponents and the MSBA that convinced me that the current argument that the MSBA will help the town find the most appropriate solution to the middle school issue is incorrect at best, and misleading at worst. The premature submission of an SOI will simply allow those with connections to the MSBA to dictate the direction of the project(s). The proper methodology, in my opinion, for determining the forward path in this effort is for the town, led by its elected leaders on the School Committee and Select Board, to develop a single proposal for addressing the middle school situation and present that single solution to the MSBA for state assisted funding. Submitting an SOI without first establishing a consensus on a single forward plan is, in my opinion, putting the cart before the horse. Additionally, we should not be submitting an SOI in anticipation of not receiving state approval “for several years”. By doing so, we’re wasting our time and the time of the MSBA. I am convinced that a properly developed plan, that demonstrates clear and compelling need AND community support, will receive state support and funding in a timely manner. Whether it is appropriate to repair either or both of the current schools or to replace one or both schools. Whether there is sufficient town support to fund the plan that is developed. Throughout this process, please be assured that I agree that current physical condition of the Longmeadow middle schools merit the attention of our town leaders and residents. I am familiar with the details of the buildings’ shortcomings as described in architectural studies and reports, but have not participated in discussions on the optimum resolution of those shortcomings. As Select Board member I will be asked to approve the submission of an SOI to the MSBA. To my understanding, that document has not yet been written, yet it appears to have the support of a number of residents who also do not know what is contained in that document, what assistance it asks for, or what information it conveys. My decision to vote in favor of submitting an SOI to the MSBA for financial support to addressing the shortcomings of the Longmeadow middle schools will, to a very large extent, depend on what information that SOI contains, and what actions it seeks. To ask the MSBA to identify the best way to address the shortcomings of the Longmeadow middle schools is, in my opinion, inappropriate. Again, my thanks for writing to me on this important topic. My goal is to meet the expectations of the majority of the residents while providing for the future of our middle school facilities. I have every reason to believe that we can and will meet both of the objectives of that goal. As a Select Board member I am tasked with establishing policy and direction for our entire community. We accomplish this task by acquiring an understanding of past actions taken by our community and guidance obtained from a patchwork assembly of policies, by-laws and general laws used for the management of communities across the Commonwealth. The greatest disservice I could provide to our community would come from being myopic in my decision-making process. In reviewing the history of our community there has been a very clear bias towards our schools stimulated by well-meaning, but often misinformed electorate. In 1986 the Select Board brought before the town a warrant article to replace our severely deteriorated DPW complex. The price at that time to rebuild this structure was less than $3,000,000. This warrant article was disapproved at our town meeting and never brought before the electorate again. Ironically, in less than two years from that date, our Select Board recommended our community authorize millions of dollars’ worth of work to be performed on Center School. Our DPW complex still needed replacement, but the Select Board and our community simply turned their backs on this critical need and concentrated on more popular “low hanging fruit” projects. Our High School, which was recently replaced because it was “worn out” was originally constructed 25 years after the construction of our DPW complex. Again, as a community, we abandoned the other needs in our community and placed a school project ahead of everything. Presently 97.54% of our General Fund debt in our community is for school projects. We have outstanding school debt of $42,190,000 which will not be totally paid off until 2041. One would think there would be public outcry claiming dereliction of duty by the Select Board for allowing our DPW complex to deteriorate to its current state. Instead, I receive emails telling me to do my job and perform my civic duty by approving an SOI. Ironically, when I conferred with individuals in our community who have experience with the SOI process and the work required for public approval, their opinions are unanimous. They all say, “We are not ready at this time for the approval of an SOI for the replacement of our middle schools.” We have individuals in our community with intimate knowledge of this entire process telling me we are not ready and we have school committee members and residents with limited or no knowledge of this process encouraging me to do my civic duty by approving an SOI. Our school committee has been briefed by these knowledgeable individuals who said Longmeadow is not ready for this submission, and yet, they continue to lobby for this approval while not taking the advice of those who are experienced in this process. 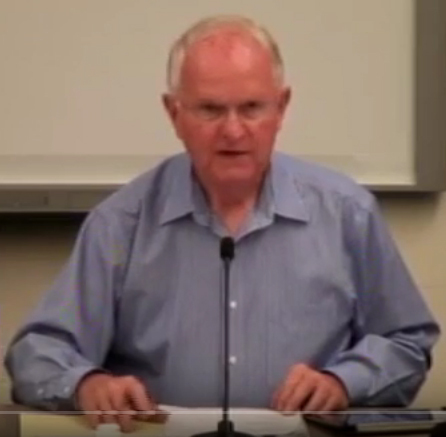 At a recent Select Board meeting I presented a briefing on our water and sewer systems. In this briefing I demonstrated that during the winter months nearly 50% of our sewage flow being sent to Bondi Island is coming from infiltration and inflow and not being generated by our water usage. This comes from leaking pipes and surface water being deposited into our sewer system. Every homeowner in our community is paying for this waste. This could be corrected with ample funding. Some of the newest pipes in our system are 50 to 75 years old. Is anyone ready for a $20,000,000 to $40,000,000 override to work on our sewer system? Or perhaps the same amount for our failing water distribution system? We could easily expend another $15,000,000 on sidewalks replacement, not to mention the staggering amount of money that we could be spending annually on our roadways and parking lots. These estimates are from current engineering studies. The reality of our current form of government is that prioritization of projects is ignored when a special interest single-issue group can override decisions made by the Select Board at our town meetings. Even with a critically flawed project prioritization system, no one would have ever replaced our High School before replacing our crumbling DPW complex and yet that is exactly what we as a community did. This is the result of single-issue special interest groups overlooking and/or ignoring the overall needs of our community and voting to support issues which are often not being recommended by those elected to represent the best interest of our entire community. Our school committee talks about the physical needs of our schools, and yet, last year they ignored the recommendations of our Superintendent, Town Manager, Town Chief Financial Officer, and the Assistant Superintendent of Finance and Operations for the Schools by supporting full funding of tuition-free Full Day Kindergarten as the highest need of the school district while rejecting money-saving proposals offered by our School management team. Instead of supporting the care of our schools, they recommended the adoption of a discretionary program which took hundreds of thousands of dollars away from the town and away from the funding sources used to improve the physical condition of our schools and other town properties while only benefiting approximately 150 families. This was not a onetime removal of these funds, it was a permanent transfer of these funds from discretionary spending to fixed cost. It must be noted that the Chair of the School Committee who was a member of the budget negotiation team did not support the actions of the school committee. 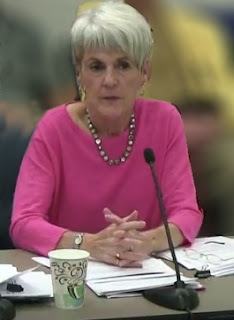 Instead she submitted and recommended a phased approach for providing tuition-free Full Day Kindergarten, but this was rejected by some members of the School Committee in favor of their proposal of 100% funding this program immediately. The 100% now funding proposal was not recommended or supported by any of the town or school administrative or management staff. Will we move forward with an SOI on our middle schools? Yes, when the time is right, and when we as a community, are ready to move forward. Until then, I will continue to do what I was elected to do for our community. To be thorough, impartial, and fair in my evaluation of the needs of our entire community and strive each day to make our community better than it was yesterday. Believe me, your Select Board is here to support all of the needs of our community in a fair and equitable manner. New DPW. New Adult Center. New middle school…What are the costs? The following article was submitted to the Longmeadow Buzz blog by Dr. Andrew Lam who is a town resident and member of the Longmeadow Finance Committee. There’s been much discussion in Longmeadow about the next three capital projects we’re likely to undertake: a new DPW facility, a new adult center, and a new middle school. While there’s general consensus that the DPW ranks first in urgency, the overall decision-making process has been somewhat haphazard. 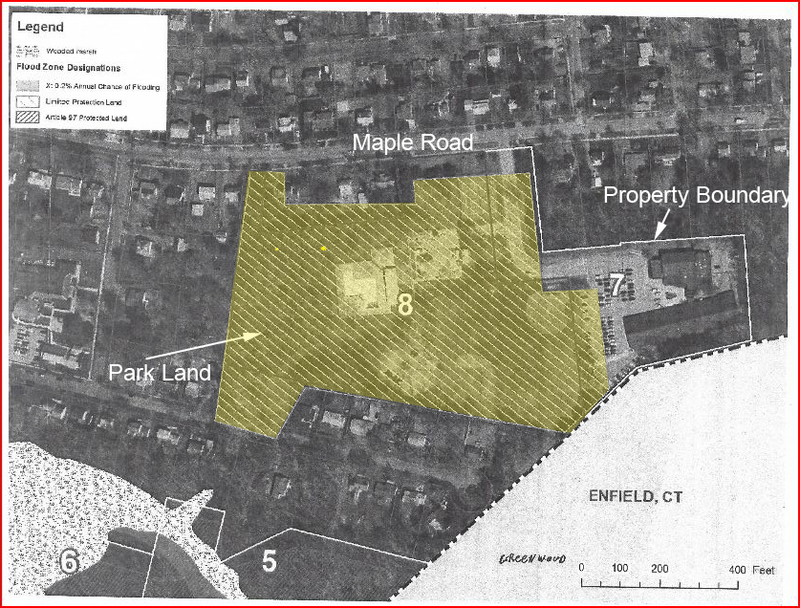 For example, at 2015’s fall town meeting the DPW Facility Task Force recommended a new DPW be built adjacent to Wolf Swamp fields; funds were appropriated to proceed with further study and design. Then, at 2016’s spring town meeting, a vocal group of citizens opposed this location and the plan was abandoned. Our most recent town meeting accepted Grande Meadows as the probable DPW location. Unfortunately, our indecision wasted time and money—most obviously the funds expended to study the Wolf Swamp fields location. Also at our recent town meeting, a proposal to build a new Adult Center at Bliss Park was defeated. The need for a new Adult Center, and its location, remain hotly debated issues. Ideally, this project should be decided in conjunction with the third looming project—a new middle school—because available land and facilities in town are highly dependent on whether our two middle school buildings are renovated or combined into a new building. Just as we shouldn’t construct new buildings without a picture of what else will be built or torn down in the next ten years, we certainly shouldn’t proceed without a clear financial plan to pay for them, either. How expensive will these projects be and can we afford them? As a Finance Committee member for the last three years, I’ve learned a lot about these projects; and, in the event that all three are undertaken, I’d like to lay out, as simply as possible, how they might affect us financially as taxpayers, and as a town. My goal in doing so is merely to provide information, not to promote or oppose any of these projects or any alternatives. First, a few facts. In fiscal year 2016, Longmeadow had the highest residential tax rate in Massachusetts: $24.33 per $1,000 of home value. The average home in Longmeadow costs about $320,000, so the average tax bill is about $7,786. There’s a state law that mandates the tax rate cannot exceed $25 per $1,000, and our town is on course to hit this maximum in the next 5-6 years. At that point, significant cuts to all departments would be unavoidable. All town officials, from the Town Manager to the members of the Select Board and School Committee, are well aware of this ceiling and share the goal of postponing its arrival. 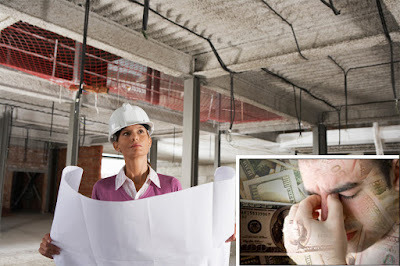 Funding for capital projects like new buildings can be “debt exclusions,” which means we can borrow the money and the resulting tax increase would not be subject to the $25 per $1,000 limit. More background. Using round numbers, our annual budget is about $60 million. Our current debt stands at approximately $48 million. We spend about $5 million annually on debt service (around 8% of the budget). Finally, one of our most important goals is to maintain our excellent Moody’s rating of Aa2, because a decline in our rating would mean higher borrowing costs. The information that follows is based on fiscal assumptions made by our Finance Director, Paul Pasterczyk. The approximate anticipated cost of each new building project is: DPW $15 million, Adult Center $6 million, middle school $40 million (this is the town’s portion for the middle school assuming the state’s MSBA funds half). $5 million of the DPW costs would be borne by increased water and sewer fees; therefore, all three additions would ultimately increase our debt load by about $56 million. What would this mean for property taxes? If we assume the DPW project starts in 2018, the Adult Center in 2019, and the middle school in 2023 (even if we gained MSBA funding approval now, construction would not begin for 5-6 years), plus a 4% interest rate for 20 year terms, then here is a simplified chart showing how each project would increase annual property tax on the average household (home value $320k). Between 2019 and 2023, the annual tax increase remains about $217, but increases to $749 with the start of the middle school project (about a 10% increase from current taxes). It will remain near this level for several years, but the cost of all three projects will gradually decline to the figures in the final column in the last year of each loan’s 20-year term. - How will this affect our town budget? Taking on debt of this magnitude always has the potential to adversely affect our Moody’s rating. To counteract this, we should strive to strengthen our town reserves through increased funding to free cash and the operational stabilization fund. There remains much to be decided. Should the two middle schools be renovated, rebuilt, or combined into one? Should the Adult Center be renovated or rebuilt? If one new, combined middle school is built at the Williams site, would an Adult Center be well-positioned at the Glenbrook site? Would it be more prudent to push these projects farther into the future? Or even reconsider them entirely? We don’t yet know how our town will decide to answer to these questions, but we know we’ll be best served by taking the long view and considering these projects together, rather than each in isolation. Very recently, the Select Board began contemplating the formation a permanent building committee with this goal in mind. And yet, there’s something far more important than forming another town committee: citizen engagement. 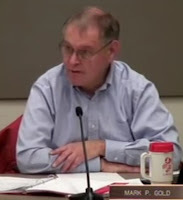 Many townsfolk were opposed to a Wolf Swamp fields DPW site; but, to a large extent, these individuals were not present at the preceding town meeting in which they could have spoken out against the DPW Task Force’s recommendation. Their opposition was heard loud and clear six months later, but we all suffered from this costly delay. The Town Manager has made increased community outreach and communication a priority, but the onus is on us, as citizens, to make the effort to attend town meetings and seek out what’s happening in Longmeadow. Because when our legislative branch is the town meeting, the quality of our government depends on all of us. Andrew Lam, M.D., is a retinal surgeon, author, and member of the Longmeadow Finance Committee. He can be contacted at alam@longmeadow.org. Why Greenwood Park was not Selected as the Preferred Site. Read this summary to better understand why Greenwood Park is not the preferred site for a new or renovated Adult Center. Below is an excerpt from the full report issued by the Adult Center Building Committee (ACBC) chaired by Marybeth Bergeron regarding the possible selection of Greenwood Park for a renovated or new Adult Center. This report was presented by Ms. Bergeron to the Select Board at their regular meeting on September 3, 2016. The current Adult Center is located on this site. The Adult Center occupies approximately 8,000 sf of the building which is an old school. Also in the same building is the Longmeadow Parks/ Recreation Day Care Center which serves approximately 56 children as well as the after school program for 60 children. The summer camp (80 children) uses the building, along with pickle ball players, the Longmeadow Parks/ Recreation After School Program, Willie Ross School, CYO basketball, Youth basketball, Adult volleyball and karate. Additionally the Veteran's Representative, public nurse, Town Food Bank, the Federal Meals Program is all located within the Adult Center wing of the Greenwood Center building. The building is often used by sports teams and other groups in the evenings, averaging 2-3 meetings per week. There are two baseball fields used daily. There is a playground as well as one of the Town's pools. Approximately 1,000 sf of the Adult Center wing is hallway, and 500-600 sf is for the bathrooms. This building is located in the very south portion of the town, and is not at a central location in our town. The seniors are "tucked away", and for many the drive to the center from the north end of the town is challenging. Article 97 Implications: Possible - Should the town decide to construct an addition to the west of the existing building wing, Article 97 could apply. Deed research needs to be done, specifically as it relates to the extension into the park. Neighborhood/Political: We do believe there is a constituency of people in our town who would not wish the Adult Center to move, as they are accustomed to enjoying recreational services at the existing site. Many seniors have a high resistance to change, and this will be a challenge to overcome. Although constructing an addition on the existing building which would require renovating the entire building due to code requirements is feasible (see drawing from the Dietz & Company Architects report below), we believe that the 12 to 18 month disruption of the plethora of services to the town residents would be very difficult. The renovations would require that the Federal Meals on Wheels program be turned over to East Longmeadow, the Day Care Center would have to be moved at CONSIDERABLE expense due to the State requirements (furniture bolted to floors, bathrooms in every room, etc. ), the Parks/ Recreation After School program for students moved to other locations, programs for the seniors would have to be halted for lack of space at other locations in town, the CYO Youth basketball, pickle ball, Willie Ross School, etc., would be very problematic and a huge disruption for our residents. The loss of at least one ball field would affect residents. We also believe that the resulting product (state of the art addition of brand new construction, aside a school designed in the late 60's) would not create an attractive exterior. The costs associated with a move/ termination of much needed services to the most frail in Longmeadow, in combination with the construction of the addition, would at LEAST equal the cost of building a new building elsewhere in the town. Here is some earlier developed information for a proposed Renovation of Greenwood Center described in the Dietz & Company Architects Report- January 15, 2016. Below is a table from the Dietz & Company report comparing Advantages vs. Disadvantages of renovating Greenwood Park Center. Bottom Line: Demolishing the current Greenwood Park Center and building a new one or renovating the old building at the same site would result in a desirable outcome. However, all of the disadvantages highlighted above by two different comprehensive studies strongly suggest that the Greenwood Park site is not a desirable site for the new Adult Center. I have been a resident of Longmeadow for more than two decades. I am a Senior citizen . In years past, I voted in favor of the new High School. I voted in favor of the new Blinn tennis courts. I voted in favor of the expansion of Longmeadow Shops. I voted against a new DPW on Wolf Swamp Rd. fields. Frankly I am stunned by the opposition to a new Community Recreational and Senior Center at Bliss Park. The current Greenwood Park Senior Center is also located in a park. Actually Greenwood is the smallest park in town, containing only 9 acres of land. To expand at that location would mean encroaching on the ball fields which are used daily in the summertime. Baseball has been played on those fields since 1945. Greenwood Park has tennis courts, an in ground pool, a small playground , two ball fields . An outdoor walking track and bocci court would likely be eliminated by expansion of the building . The recreational space is very small, and services the recreational needs of the residents in the south end of town. Although it has the same amenities as Bliss Park at 45 acres of land, Greenwood is the smallest park in town. The Greenwood Child Care center is located in the larger portion of the old school and the Park is home to day campers during the summer. Where is the cry to save Greenwood Park? Locating the new Senior Center would place the facility in the center of town at Bliss Park which would be more accessible for all our senior citizens. The location chosen is run down and neglected. It would add parking for the dog walkers and hikers that use the trails, for the ball fields and for the basketball court. It takes away absolutely nothing from the park and only enhances the current recreational activities. I suspect the vast majority of people who are against this, are people who have never set foot at Greenwood Park Senior Center. Actually they may never have set foot in a Senior Center at all! All senior centers offer wonderful recreational activities for the senior and adult populations they service. This new senior center would provide recreational activities for ALL of our population, and not just seniors. A new exercise room would be available to everyone! The town is hoping to include a gymnasium, which is much needed by the basketball teams. Pickle ball, volleyball would also be played there. Perhaps the town could even offer Community Theatre! This would really be a community center that does nothing but improve the quality of life for young and old alike! The LongmeadowBuzz blog welcomes town residents who want to offer their own viewpoints. For details see blog Guidelines. I have had the opportunity to see the list of people who signed the petition opposing Bliss Park as the location of a new senior center. I read carefully the "facts" and objections. Some are legitimate concerns, and other "facts" were so far off base as to be worthy of the most convoluted conspiracy. Many who signed are clustered near or abutting the park. In checking the current voting list it could be said many of these folks are professionally and financially well off. Their professions indicate a secure economic status. We could guess that many belong to the Field Club or the Longmeadow Country Club. They probably attend the Symphony, and go to Stage West and the Majestic Theater. Most travel sometime during the year and vacation regularly. You might say active Longmeadow adults. True, most do not consider themselves old and cannot imagine being old and not continuing this lifestyle. If they do get old, Glenmeadow is in the future... not a senior center. It is true that a well programmed senior center with adequate space and resources is used by all economic groups. However, for many in our community the options are not so broad. Seniors may be limited by finances. Many are not able to travel. Some are isolated by physical limitations and building accessibility. Some cannot attend events that are not handicapped friendly. Travel is sometimes limited to bus availability. Some seniors can no longer prepare a meal so come to the center for the noon meal and sociability. They rely on the Senior Center! This group of seniors does not have the VOICE that Save Bliss Park has. They cannot purchase signs, or stand on corners or attend night meetings. Many are not yet computer literate. This group of Longmeadow citizens are relying on a small committee and a positive town vote to make it happen. and IMAGINE Longmeadow being supportive of ALL their citizens! Recently I have read and heard from a few people that have expressed their opposition to our town building a new Senior Center at Bliss Park. As someone who regularly uses the town’s senior center for recreational activities, I have taken an interest in the Select Board’s Adult Center Building Committee search, and have reviewed all of the documentation they provided to the Select Board. This committee investigated ten sites in town, including the existing site at Greenwood Park. The location they determined is the best site for a new Senior Center is a small, neglected corner of Bliss Park. I have personally walked the area and agree that this somewhat abandoned area of the park is indeed in poor condition. It is a dirt area that our dog walkers use to access the rear trails. The field house is in poor condition. The basketball court floods each spring. The tree roots are damaged from the haphazard parking all over this area. I could immediately see the reasoning behind choosing this location. Locating this 3 acre project on this corner of the park would do nothing but improve the park. It would provide parking for access to the walking trails, as well as to the ball fields and basketball court. This location takes away nothing from the other active recreational activities at the park. Add to that, there is a substantial buffer zone to the residential streets that are on the north and east of the park. To the north, there are actually around 35 acres of wooded land that will be a buffer zone. There are over 4400 senior residents in town, and I understand that the Pioneer Valley Planning Commission has determined that there will be a 30% growth by 2030 of elders in our town. We will represent over a third of the residents. We also want to participate in recreational activities, both indoor and outdoor. I applaud the Park Board for taking the unanimous position to support this location. I have often heard people say the senior center should stay where it is. I am sure they are unaware that an expansion of that building would mean that there would be a loss of two ball fields at Greenwood PARK and it would mean that most of the open space would be parking! Greenwood Park is a 9 acre park. 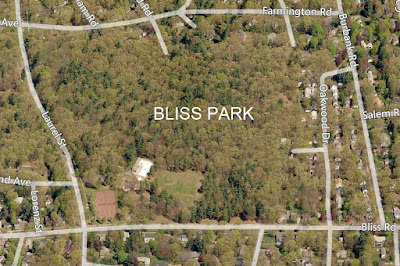 Bliss Park is a 45 acre park. Frankly, I think it is only logical that the new Senior Center be built at Bliss Park. 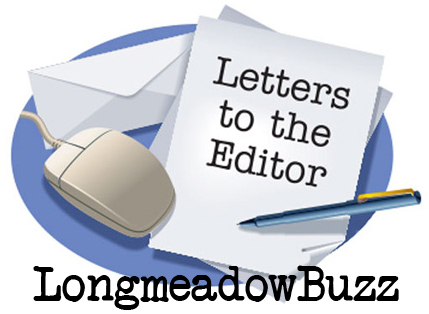 This letter was submitted to LongmeadowBuzz blog by Marybeth Bergeron, Chair, Adult Center Building Committee. I am writing today to clarify a point that is of concern to some residents in our community. The Select Board Adult Center Building Committee has never discussed an exit road from the proposed site of the new Senior Center at Bliss Park onto Oakwood Drive, Eton Road or Farmington Road. 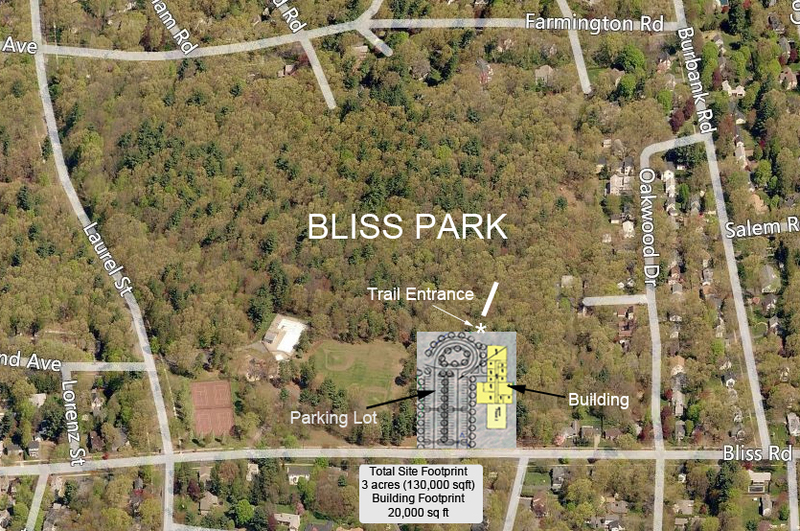 The proposal calls for an single entrance and exit onto Bliss Road. The committee did discuss having a crossing guard as well as a "right turn only" restriction onto Bliss Road (--> west) from the parking area. This type of exit would be similar to that found at the north side of Longmeadow High School onto Bliss Road (--> east). The committee also discuss shifting the primary open hours for the Senior Center in order to minimize the impact on school children walking home from school. The town has not as yet hired an architect or a landscape designer. Article 7 that will be considered at the upcoming Special Town Meeting on October 25 will allow the town to hire an architect, complete engineering studies, conduct a traffic study and complete a landscape design to enhance this area of the park. Our vision is clear. The proposal is for a new town building that would house a new Senior Center and Town Recreational Center that would serve all age groups. The town needs to hire professional firms for their input and design, and hopes to engage everyone in our community for their input during this next step design phase. This opinion column was submitted to the LongmeadowBuzz blog by John J. Fitzgerald, a Longmeadow town resident and member of the Longmeadow School Committee. Recent months have witnessed recurring discussions about what Longmeadow should do about three major concerns. Those concerns are: the condition of the two middle schools in town, the need for a decent Senior Center and the need for a safe and strategic home for the DPW department. The Select Board seems singularly inept in dealing with this problem. Their solution seems to be: ignore the problems. This is neither just nor adequate. A recent development has the seniors vocalizing on behalf of taking large chunks of land at Bliss Park for a Senior Center. A number of fellow citizens have objected. I share their concern about the destruction of Bliss Park. I think we should leave it as it is, which is a wonderful family centered park in the middle of town. What can we do to protect Bliss Park and at the same time address the other real town wide concerns? The answer to that question is contingent on a holistic response that speaks to the concerns of the entire town and its community. As I see it, the seniors do need a new center which is appropriate to their needs and appropriate to the best interests of the Town of Longmeadow. We also need to seriously address the needs of the Middle Schools in Longmeadow, Williams and Glenbrook. 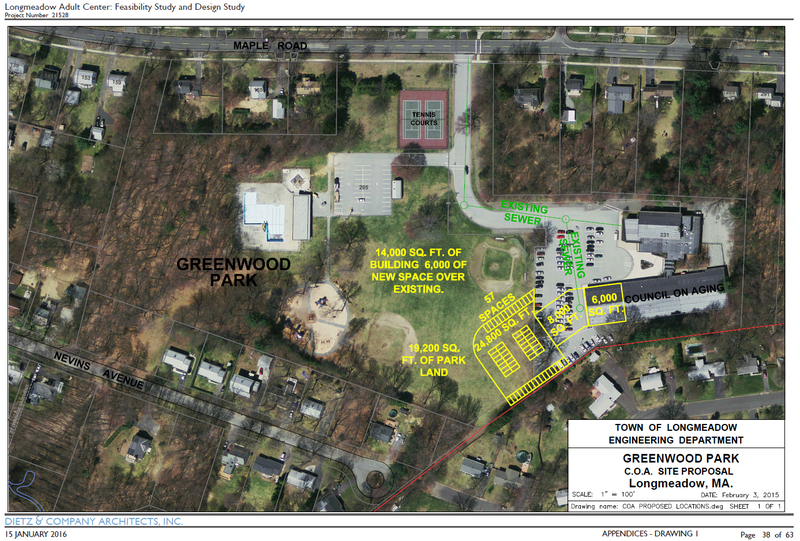 DPW to be placed at Greenwood Park Center off of Maple Road. Minimum loss of playing fields and playground area. This would be the site of headquarters, mechanical service areas, radio communication center, repair, etc. Garage storage areas and parking lots. Some vehicle storage and repair sites at Wolf Swamp Road near East Longmeadow line. No diminution of playing fields. Create an attractive site near Twin Hills and Field Club. Senior Center to be placed at Glenbrook Middle School. No diminution of playing fields. Close Glenbrook. Renovate Glenbroook for Senior Activity needs. Middle School situation to be remedied in the following manner. Place new enlarged Williams Middle School on playing fields of Williams Middle School. Construct new and larger building. Tear down old building. And then create athletic fields. With New Williams Middle School complete, we transfer student population of Glenbrook to Williams. Turn Glenbrook over to town for Senior Center. This plan addresses all the needs of the town and does so in a practical manner. All major interest groups have their needs addressed. Those with abutting real estate are protected from any harsh changes or hazards. The Commonwealth pays for most of the funding for a new middle school. We will have to do some bonding to pay for the DPW and Senior Center projects. What do you think? I think we will need to create a coalition to bring this three part project to pass. But that task is far superior to just doing nothing. Let’s get this project rolling forward! This opinion column was submitted to the LongmeadowBuzz blog by Betsy Port, a Longmeadow town resident. Yes, we need a new building for The Longmeadow Senior Center – that is a fact! I do not know when or if it will ever be built since I do not own a crystal ball. I do know this; creating a building of 12,000 square feet within a 3.5-acre part of Bliss Parkland would be a mistake. Perhaps you can change my mind, but creating a structure on park-like land seems like an obvious problem. Traffic flow has increased over the years and Bliss Road and Laurel Street will only become busier when the construction ends at the shopping center and cars full of shoppers shop! A Committee has been working hard all summer, holding seven meetings and discussing several sites across town. Our family received a snail-mail invitation to a September 1st meeting for neighborhood homes. 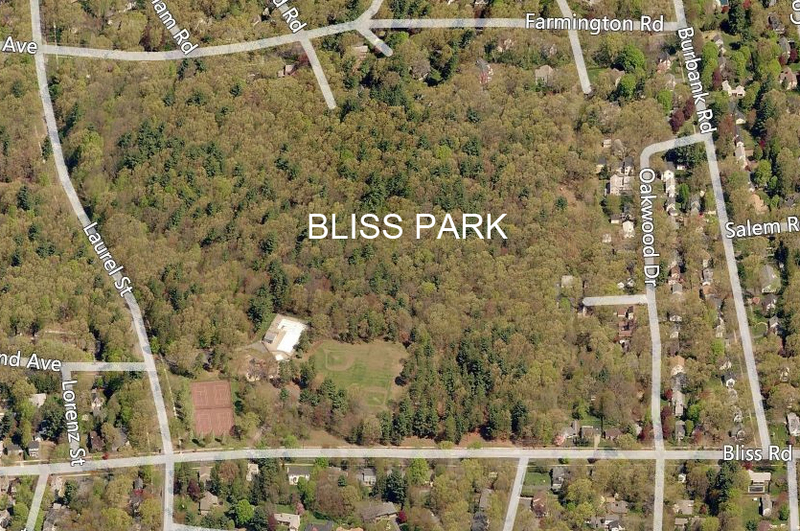 We live near the wooded side of Bliss Park, but could not attend a meeting right before a long weekend. I wish we had been given more notice, but they were on deadline. If built, the new center would be located in the southeast corner of Bliss near Oakwood. A total of 100 parking spaces would be needed and I fear over 30 trees would be cut down. These trees may not be that healthy or that green but I am a true tree hugger so I hate to loose them. If possible, I think the committee’s choice should be modified. They came up with only one option. People like to have choices. What is their second choice? Are they any other options for the residents to consider? Laurel Park is not an option in my humble opinion. Some might say that to upgrade the structure at Greenwood Park would be costly and ill advised. Maybe the whole thing should be razed and we might build something better if we can afford to start over. It is my understanding that both Greenwood Park and Turner Park are not preferable options. The DPW project seems more urgent right now, but when can we really have room in the budget for the Senior Center? I have called the tree warden, the Park and Rec Department and some other leaders but I still have more questions than answers. Maybe I am just too crazy to think that a large structure inside a designated park is horrible to contemplate. What to me is short sighted is the way the process has moved ahead. Where are we getting the money for anything if the town has serious fiscal concerns? We need to be realists! Can we please keep the big picture in mind? Maybe we need to rethink the whole long range plan set forth in 2001-2002. Saving our open space and green landscape was a top priority at that time, about fifteen years ago. Have our priorities changed? Do we need a Community Center instead of a Senior Center? The Community House is in the Historic District and not practical for our growing needs. As far as I’m concerned it is for voting, offices and dance classes. Should children have an opportunity to learn and share with their elders? Read the recommendations in other magazines and papers. This is the wave of the future. Where can we meet and come together as a community? Is it possible to redefine what is needed? Let’s find a peaceful and practical solution for everyone to agree on, if that is possible. I just don’t want to loose something that we can never get back! This opinion column was submitted to the LongmeadowBuzz blog by Alex Grant, a Longmeadow town resident. Mom, apple pie, fresh air, the family farm, and the small business owner. We pay homage to all these things. They are America. They are unassailable. Everyone is for them, and nobody is against. That is what we say at every kitchen table and every rostrum. With such widespread support, it is hard to imagine how a family farm, or a small business that is beloved in the community, could ever fail. But it happens all the time. Sometimes we honor the idea of something more than the thing itself. And so it goes with what appears to be the final chapter of Alex’s Bagels at the Big Y shopping center. With the end of Sam and Chippy’s barber shop, the departure of Brightwood Hardware, and the impending eviction of Alex’s, it should be clear that being a landlord to small businesses is no longer part of Big Y’s plans. For a while, Big Y had a business plan that involved running a medium-sized grocery store and collecting rent on space that it figured it could not use as profitably. With that business decision came reliance, reliance by the small business owners and reliance by the residents of Longmeadow. Big Y, of course, never promised to lease this space in perpetuity, but to the community it certainly seemed that it had. The bagel shop harks back to the 1960s and 1970s, operating though three owners, each linked to the one before. 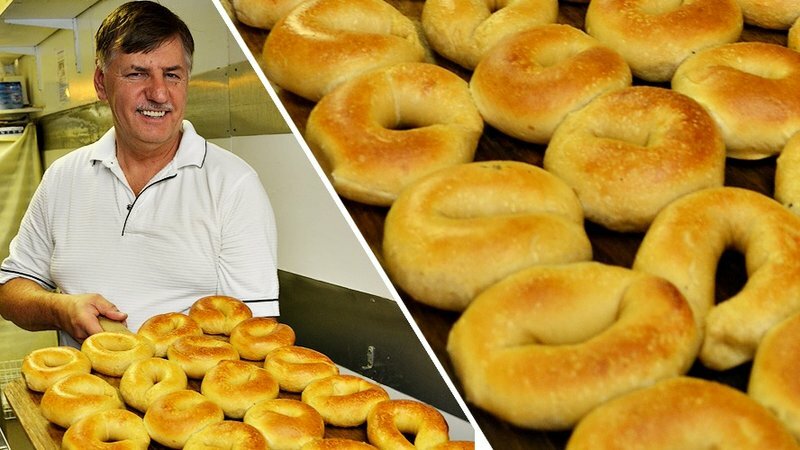 Alex might have set a world record for the longest bagel apprenticeship by working there for 19 years before taking over as owner 10 years ago. Brightwood Hardware was there for over 50 years. In the barber shop, you could hear tales from the 1950s as Chippy clipped your hair. The men and women of these businesses not only rented space from a corporate landlord, they devoted the best years of their working lives to serving the residents of Longmeadow. Making that choice meant making investments in equipment, investments in building up a clientele, investments that only made sense if the business was a long-term proposition. That choice was a leap of faith that their loyalty to their landlord and to the community would be reciprocated. And for two generations it was. They carved out niches for themselves, none more so than Alex and his predecessors. Even today, it is a rare skill to make a real, fresh bagel that has a firm outside and a soft inside. Dunkin Donuts, Starbucks, bagel chain restaurants, and grocery stores have all tried and failed to deliver a real, New York City style bagel like Alex’s. In their pursuit to make bagels that can be made, preserved, and distributed, these corporate bakers have rendered circular bread rolls. The work of making a traditional bagel, it seems, requires the daily toil of baking in small batches and selling the bagels not long after they emerge from the oven. From Big Y’s corporate boardroom, all of this may seem like small potatoes. The names of Mo, Chippy, Kimmel, Phil Grant (no relation), and Alex may mean nothing at that level. Alex’s children who have worked there and all the other teenagers and young adults who have worked the counter and have learned the craft of bagel-making may seem remote to the important business of wringing out another percentage point of earnings growth. But to many people in Longmeadow, the vast majority of whom walk the aisles of Big Y, these people, these families, and the work they do are part of our town. Justice Oliver Wendell Holmes once said that “Man, like a tree in the cleft of a rock, gradually shapes his roots to his surroundings, and when the roots have grown to a certain size, can't be displaced without cutting at his life.” After more than two generations, Longmeadow has shaped its roots around the bagel shop and its erstwhile neighbors. Big Y needs to reckon with the loss of goodwill that will result from displacing Alex’s shop. While I was on the Select Board, corporate landlords were all too happy to carry the banner of the small businessperson when it came time to consider the commercial tax rate for their properties. Big Y and others touted the value of locally-owned small businesses like one would promote the value of motherhood, the Olympic spirit, and the United States of America. Now Alex’s shop is an inconvenience to a larger corporate aim. It is time for Longmeadow residents to make this eviction an even larger inconvenience for Big Y.
Alex J. Grant is a lawyer living in Longmeadow. His email address is alex.grant68@yahoo.com . The following was published in the July 2016 Longmeadow Police Department Monthly Report. Policing in Longmeadow is a stranger offering to pay for your coffee while standing in line at Starbucks and an intoxicated and defiant man pushing an officer in the chest. It’s stopping a new driver for speeding and warning him to slow down or the next time he will receive a ticket and sitting in an unmarked vehicle, with the engine off, in a parking lot in 90 degree heat for hours, waiting for drug a deal to go down. It’s your spouse asking you when you’re going to bid off the midnight shift and your 8 year old daughter calling to make sure you are safe. It’s missing your son’s Saturday soccer game and a Christmas dinner at home with your family. It’s also putting a compression dressing on an accident victim who has a severe laceration while re-assuring them they will be all right and being ridiculed and sworn at by a woman for arresting her husband who moments before had punched her in the face. It’s manning a public information booth at Longmeadow Days and engaging in conversation with adults and children alike and giving a tour of the station to a group of wide eyed boy scouts. It’s talking to teenagers who have questions as to whether an officer can search their backpack for alcohol and answering the mundane question of a stranger; “where is a good place to eat” or “how do I get to……”? And, the mind numbing chore of checking businesses, The Meadows and side streets at 2, 3, & 4 AM. It’s conducting an investigation and working on leads to locate stolen jewelry that has profound sentimental value in hopes of being able to return it to its owner and performing CPR on a 17 year old who OD’d on a lethal dose of alcohol and opiates while in the background hearing the mother’s and father’s screams of anguish and despair. Although there has been extensive media coverage replaying the actions of overzealous officers, with more than 12,000 agencies operating in the US and more than 477,000 law enforcement officers, the number of incidences of misfeasance, although appalling, is minuscule. A warrior one minute and a guardian the next, an officer must adapt. With the fatal ambushes of police officers both in Dallas and in Baton Rouge, the job has changed. 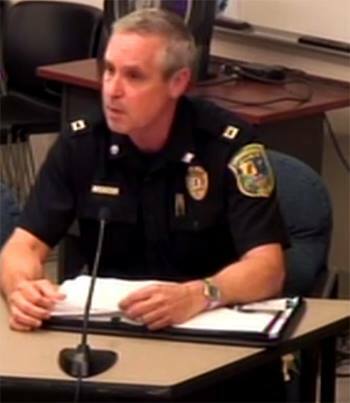 Even in Longmeadow, officers are a little more cautious…. It has changed the way we patrol. When conducting a traffic stop, officers are taking more time to assess the situation before exiting their cruiser and approaching the vehicle. Responding to calls for service in a remote or desolate area in Town has evoked a level of vigilance that wasn’t a concern a month ago; could someone be concealing themselves or lying in wait? Officer are reminded to check their weapons before every shift, to discuss officer safety best practices, and to rely on their tactical training that was learned in the academy and is reviewed every year during in-service training. Fortunately, over the last month there has been an outpouring of support from the community. Adults, children and seniors alike have been stopping by the station and bringing in gifts of food, soft drinks and yes, even donuts. These gestures and well wishes are humbling yet confirm that the officers and staff of the Longmeadow Police Department are professionals, are providing a valuable service and their work is appreciated by the community. Approximately 50 Longmeadow residents from a variety of constituent groups attended a focus meeting on August 3, 2016 at the current Greenwood Adult Center at 251 Maple Road to discuss the siting and construction of a new senior center in Longmeadow. Included were Select Board members; Longmeadow officials and employees, seniors, sports parents, other town committee members, site neighbors; Adult Center officials and board members; FOLOCA (Friends of Longmeadow Older Citizens Association) representatives; ACBC committee members; media and other interested community members. Presented by the Adult Center Building Committee (ACBC), the eleven member group chaired by Marybeth Bergeron, were on hand to inform residents of the group’s progress in identifying various sites in Longmeadow conducive to locating an appropriate building site. Joining Marybeth at the front table were ACBC members. They were Phil Hallahan, co-chair, Fred VanDerhoof and Tim McKenna, the evening’s presenters and Pat Burden, secretary and recorder. She also called attention to present Select Board members Mark Gold, Bill Low and Marie Angelides who serves as liaison for ACBC and thanked them for attending. She announced that the focus meeting format would be a formal presentation by committee members, a Q&A session following the presentations and a brief survey distributed for input. Also, that the evening’s meeting was televised on local cable TV. She explained that ACBC consists of 11 community members who represent all aspects of life and possess years of experience regarding the project. The members’ mission is to identify a suitable site to construct a suitable adult center that will be presented to the Select Board before its first meeting in September. If approved, it will be presented to the broader community at the November town meeting. It was stressed that ACBC members represented all present and input was of most important. “We want your input,” Marybeth declared. She emphasized the importance of transparency and the significance of neighborhood and political impact. Bergeron commended the committee for their diligence, many hours and commitment to the process. She highlighted the amount of work executed by the committee such as: meetings with historic commission, library trustees, town manager, conservation professionals, athletic directors, park and rec officials, DPW and others. They studied site maps, deeds, plans, Article 97, field use and non-use, even the original Frederick Low Olmstead designs (which in some cases have not been completed or terribly neglected). They have explored open space noting the 1/3 of Longmeadow is “open space” and therefore available for recreational use. She addressed: “Why a new adult center?” Presently there is approximately 8K square feet used at Greenwood Center that is shared with food pantry; meals on wheels; veterans administration; FOLOCO; health services; outreach senior services; senior programming and activities; administration and staff. Formerly an elementary school, the corridors are long, restrooms designed for children located a distance away, privacy compromised, limited parking, hidden asbestos and hazardous waste issues, space stretched to the limit! She stated that the task at hand was to explore and recommend a suitable site. There were eight: Greenwood Park; Turner Park-Site 1 and 2; Wolf Swamp fields; Academy Water Tower; Laurel Park; Bliss Park and Cordis/ Library property. Each site was thoroughly examined…deed restrictions, Parkland infrastructure, sport fields specification, impact on town, impact on neighbors, historical aspects, conservation restrictions, ponds and wetlands, political impact, favorable for building aspects, enhancement to sites. Four are off the table: Wolf Swamp, Academy-Water Tower, Greenwood Park, Turner Park-Site 2. Wolf Swamp/political impact and preservation of fields for youth; Turner Park-Site 2/wetlands; Greenwood Park/loss of fields, cost of renovation, code requirements and relocation of activities including Park and Rec, and Day Care shared space; Academy-Water Tower/too large at 10 acres and impact on highly populated neighborhood with potential house construction and taxable benefits for town. Still on the table are: Turner Park-Site 1; Laurel Park; Bliss Park; Cordis/Library. Fred VanDerhoof was called on to explore Turner Park, Laurel Park and Bliss Park, all of which are doable properties. He exhibited colored maps to locate the properties. He highlighted Turner Park’s amenities including extensive trails, beautiful pond, trees, serenity, location to existing fields and opportunities for intergenerational activity. He stated that kayaking , fishing, biking, hiking on improved trails are some of the favorable features. Also, sharing the facility with the town with use of rest rooms, meeting spaces, food concession, paved parking enhances its value to townsfolks. Fred then identified Laurel Park as a “nice piece of property”…gorgeous hiking trails, serene pond, waterfall and its hidden beauty and environment for locating a new adult center, “a good feel to it.” He went on to state that favorable location to Bliss Park, Police and Fire Department and center of town accommodates senior needs and activities. And its present state of neglect would be remedied. Bliss Park, Fred reported, has great synergy and opportunity. Pool, tennis courts, walking trails, proximity to town; little infringement on neighbors adds to its favorability. Public restrooms, presently closed, would be accessible. Site improvement of trails, lighting and paved parking would enhance the property for all to enjoy. He went on to say: It is, however, necessary to acquire the Cordis properties at an approximate cost of $1 million. These reconstituted properties could be resold or retained for town use which direly needs more office space. At any rate, it is an opportunity for the town of Longmeadow, he stated. Where will they be sited?... Depends on each site and architect’s design in balance with site. Will fields be impacted on Cordis site?...Strople Field will not be touched. Will Cordis be torn down?...Absolutely not. Will Casino traffic affect the choice?...Not known what Casino traffic will entail and at what times of day. A traffic study is pending. Ernie Welker, Audit Committee member, reports that the town is in trouble financially and cannot afford a new center. He suggested that Greenwood Park be renovated regardless of losing playing fields. Eleanor Stolar reiterated the importance of addressing seniors’ needs and having them stay in Longmeadow. Jim Russell asked to be recognized. He clarified the fact that ½ of 1% of the town budget is directed the Adult Center annually. He advocated that a need for privacy for veterans is evident and constructing a new center rather than renovating the present center even without unknown infrastructure issues is less costly. The prepared surveys, whereby attendees could make comments and/or chose preferred sites, were distributed. Providing ones name was optional. Surveys were collected and will be analyzed before the next committee meeting Thursday, August 11 at 7 p.m. All meetings are open to the public. The next Adult Center Building Committee (ACBC) Focus Meeting will be held at Greenwood Park Adult Center on Wednesday, August 24 at 3 PM. Once again the public is invited. This article was submitted to the LongmeadowBuzz by Betsy Port- a long time resident of Longmeadow. The Longmeadow Historical Society is a real treasure trove of antique furniture, American decorative arts, documents and memorabilia. A special collection of glass plate negatives by Paesiello Emerson, give us each a chance to reminisce and relive past days in rural Longmeadow. This budding photographer was born in Hopkinton, Mass in 1832. Mr. Emerson loved photography and took his camera along as he explored the world around him. Our area was bursting in the early 20th Century when he moved here. In 1900 there were slightly more than 800 residents here. It was the age of the American Industrial Revolution and the end of the British Victorian Era. By 1920 the population had tripled due to the farmland transformation to suburban home development. The family car was not commonplace, but soon it would be. The streetcar trolley made commuting into Springfield possible. The railroads had come to Springfield and big social and economic changes were happening rapidly. The Jazz Age was around the corner. Builders saw opportunity to make money and help the new residents find places to live. Open space in the northern part of Longmeadow soon became ripe for construction. Paesiello Emerson was almost 70 when he came to Longmeadow in 1900. His activity may have started as a hobby or science experiment but it soon filled his hours. In 1923 Center School was completed and ready for students! By 1925, St. Andrew’s Stone Church was built! The First Church was remodeled and it was an exciting time to experience these first buildings. In 1925 the photographer received the gold-headed ebony cane that was and is traditionally handed to the eldest in the community. 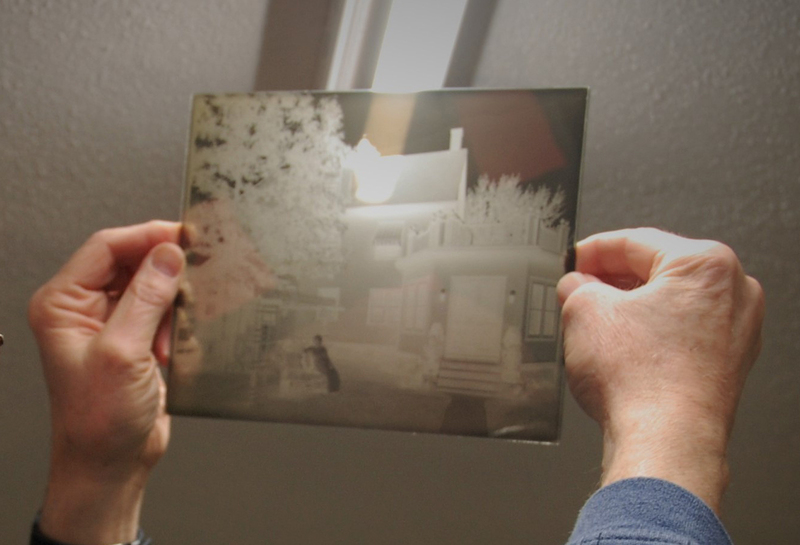 By that point he had been capturing Longmeadow images for a quarter of a century. He passed away at age 95 in late December of 1927. His legacy today is over 1500 glass plate negatives of our town stored in the LHS vault. You can see the Longmeadow Country Club in 1924 and The Community House with an early car in front during the Spring of 1923. He took photographic images of 214 different locations. A trip to Bermuda at age 80, took him out of the country, yet most of the images are New England locations.. Today we are reminded of his name when we visit Emerson Road, which had been named Depot Road previously. Thanks to his half sister Annie, who lived at 476 Longmeadow Street (corner Emerson Road), for she donated all his work to the LHS after he was gone. If you are interested in this topic, please go to the Longmeadow Historical Society website for further information about his life and work. He had been a wounded Civil War veteran and a boot maker in the eastern part of the state. The Digital Commonwealth also has links to these photo resources. I googled his name and was directed to a great site called Lost New England which was full of fascinating street scenes in our area and present day comparisons. Enjoy the nostalgic images shown here, and there are plenty more on the website. You may have seen an exhibit of the photographs at the Storrs Library, and I hope more images will be printed and exhibited soon. Jim Moran, a board member of the LHS has organized the photos and using a map from 1920, placed images in their locations. This project is called Through the Lens- Longmeadow 100 Years Ago. All of the Emerson glass plate negatives were digitized by the Massachusetts non-profit organization, Digital Commonwealth. This service was provided free so we can browse online and see how Emerson viewed the world. Everyday we deal with details and the minutia of life. Groceries, laundry, work, dishes, email corres- pondence and phone calls. We run errands and drive in circles getting it all done in time for the deadlines we set for ourselves. It is time to reassess our priorities and look at the big picture. What will Longmeadow be like in thirty years? Envision 2046 in your mind… Where will you be? Will I be in New England hanging out with the grandchildren I don’t even have yet? 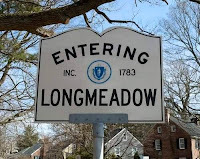 A 2004 report entitled Longmeadow Faces the Future: The Longmeadow Long Range Plan summarized efforts by both community residents and leaders to create a plan for the future. There is also a new Long Range Plan Survey that town residents are being asked to complete. Check it out! Fill out the answers! It’s time to revise the plan. Have your priorities changed in the last 20-30 years? The values and goals of parents are surely different as younger generations mature. Longmeadowites are responsible for helping our leaders make decisions that will affect the future. How can we cut costs and also increase income? We are 96% residential and do not have the ability to keep increasing real estate taxes. Let’s take a ride on a magic carpet high above the trees! How does the Town of Longmeadow look from above the treetops? It sure looks green from plane rides I have taken to Bradley as we circle overhead. Does Longmeadow look like a rural suburb or a crowded area near a city? It depends on your view! There is somewhat of a split personality I see that was created by the sometimes-awkward development of our locale. We started as a little farming village within the city. We then became a nearby suburb when Springfield developed from a Western settlement in the 1600s-1700s to a true residential area. Did we need to build six schools? Did we need two town centers? We have a special historical center surrounding a typical New England Town Green and then a second town shopping center built in the 1960s that is undergoing a major renovation this year. Times are constantly changing! When we moved here twenty years ago I felt like I was entering a time warp! This place was not as up to date as the suburban communities I lived in near Boston and Manhattan. Many changes have come to Longmeadow that have improved and updated services and facilities here. The new High School and three elementary school additions were all overdue. Now we need to look ahead and see the future. Can we keep the things we value most? Please go to the Town website and fill out the Long Range survey as soon as possible. Tell all of your neighbors and friends! Let the leaders of our town know what you need and want. They cannot read our minds, but eagerly await the results of the survey. At least 700 people have already completed the online questions and Richard Foster; Town Chair of the Select Board hopes to double that number. Get involved and be heard! I recently had the opportunity to discuss the town’s future with Mr. Foster and I have a new understanding of just how complicated it is to balance all the factors in developing a comprehensive plan for our collective future. We are lucky to have such a fine group of leaders in our select board with the addition of Bill Low as a new member. Their roles can be difficult as they weigh and balance all the issues. The truth is this – we need to increase our income without adding a huge tax burden to the residents. Let’s get creative and discuss the possibilities. There are many priorities to consider. Will newcomers want to move to our town? How will the Springfield casino and highway construction impact us? Where will the DPW be relocated? The dump and recycling center can stay where they are in the flood plain, but the storage and office aspects of the DPW must move. Will the Wolf Swamp Fields, Grand Meadows or the former synagogue land on Williams Street become possible solutions? Where will the senior center be built? Should we build senior housing on undeveloped land? Stay tuned for a discussion of the options. I think preserving our parks and open space are the top priority. Participants at the Town Meeting do not want to forfeit our parkland. We do not need shortsighted fixes. Clear-headed solutions are possible if we listen to each other without getting too emotional. Remember – Always Keep the Big Picture in Mind! 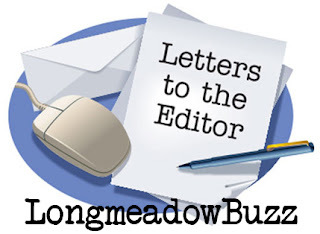 The following letter was submitted to the LongmeadowBuzz blog by Mark Gold, candidate for re-election to the Longmeadow Select Board. There has been much discussion over the past few months about Longmeadow approaching the Proposition 2½ tax ceiling. The concern is that Longmeadow’s FY 2016 tax rate is quickly approaching the $25.00 limit allowed by Proposition 2½. If taxes grow at 2½% per year, and there’s no change in the value of homes, our 2021 budget – just four years from now – will be limited. As we approach the limit of the town’s ability to raise taxes, there are many actions the town can take, but panic shouldn’t be one of them. We must not allow the 30 year-old Proposition 2½ law to trigger short-sighted actions that would change the 233 year-old character of Longmeadow. Many suggested proposals advocate expanded development, including conversion of our open spaces to commercial and residential use. I disagree with this singular approach and believe that most Longmeadow residents agree with me. 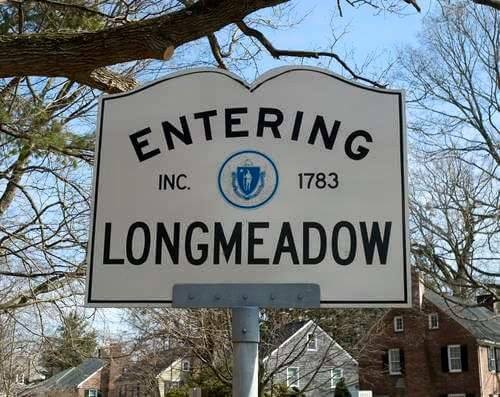 Surveys have consistently indicated that people are attracted to Longmeadow by its parks, tree lined streets, and beautiful residential neighborhoods. With a thoughtful approach, we can meet the challenge of Proposition 2½ without turning our open spaces into commercial developments and our ball fields into housing sub-divisions. The tax ceiling limit issue must be addressed by understanding why we are near this limit and developing a comprehensive approach to resolving this challenge. A discussion with our state legislators about the impact of the tax ceiling will have on Longmeadow is a necessary starting point. Legislative action that would modify the $25 tax rate ceiling component of the 1982 Proposition 2½ law, while retaining those elements of the statute that limit the town from overspending should be considered. Carefully considered development should also be included in our plan, as well as actions that provide alternate sources of income. Four years ago I lead the adoption of the local options meals tax that now provides over $135,000 each year in added revenue, and I believe that opportunities like a solar power facility can be part of a program that provides revenue growth without compromising the character that drew us all to Longmeadow. Converting taxes to fees, whether for storm water or trash collection, isn’t a long term solution to the issue we face. By taking a judicious approach with the open space land we offer for development, looking for new sources of revenue, and keeping a close eye on our spending levels, Longmeadow can continue to provide the level and quality of services we have come to expect without changing either the quality of life or the Town’s character that attracted us to select Longmeadow as our home. I’m running for re-election to the Longmeadow Select Board because the critical decisions that determine our town’s approach to the Proposition 2½ limits must be made over the next 3 years. I intend to bring the same balanced approach I have brought to other issues in town to the resolution of this challenge. 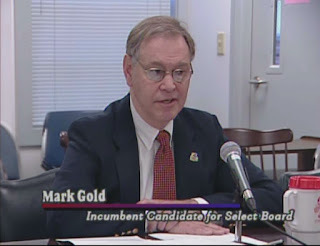 I ask for your support in the June 14th election to continue as a member of Longmeadow’s Select Board. Please join me in helping assure the rich future of our community, and that in addressing the financial challenges of the town we don’t compromise the character that defines Longmeadow. This article was submitted to the LongmeadowBuzz blog by Betsy Port- a long time resident of Longmeadow. Warm weather is finally here and it is the time of the year that I love to get out in the garden, digging and planting. Last week I went to the hardware store I love to get some potting soil and miscellaneous tools. Walking into the familiar setting, I saw Ken and we chatted. Somehow I fought back the tears…keeping my emotions in check. Brightwood Hardware is moving to Enfield, Connecticut this summer after fifty years in our town. We will all miss this local landmark! Carr Hardware will merge with Brightwood and you may have seen the truck in the parking lot recently. Vividly I remember the first time we stepped into Brightwood and met Moe Fieldstone in the summer of 1996. His store felt welcoming and friendly in a world taken over by malls and big box stores. “I might like living here!” I thought to myself. He could find everything easily although his inventory totaled thousands of items. When I asked for paint, he said, “Follow the footsteps!” and my little kids and I headed down the stairs. ...just like a follow the leader game, what fun! He was helpful and knowledgeable and could offer advice about the area when we asked for directions or needed something he did not carry. Moe told us to buy lampshades in West Hartford, he suggested a place to buy plants in East Longmeadow, and he sold us a caulking and electrical supplies for our old fixer upper. It took us years, but somehow our house became updated and modernized thanks to the supplies and tools available at Brightwood. The kids loved to visit the talking parrot in the basement, while I discussed ant traps or the possible need for deer blood to keep the squirrels away from my bulbs. Speaking of bulbs, we bought many light bulbs there in all shapes and sizes, from little night-lights to large floodlights for the front yard. I found a large Welcome mat for the entrance to our home. We fertilized the garden beds, bought an ice chopper, and we even stocked up on the drain declogger that is a much sought after staple and an item we do not want to run out of. Later, as the years passed and the children got older we got a dog. We gave Dave a lot of business as Cody continually jumped on the screen door and it needed annual fixing. “let me in”, the puppy said silently. Basically, Moe and his staff became our home support system to a young family relocating to New England who knew almost no one here twenty years ago. The kids could buy candy and some small toys as I perused the aisles looking for plastic shelf paper or a spool of twine. They made keys for us and sharpened our scissors many times over. We put change in the MS donation container and got a piece of gum. Every time I bought a peppermint paddy I was reminder of my grandfather in Connecticut who gave them to me as a child. So why am I feeling so emotional about a hardware store? I am taking this opportunity to reminisce because I know our time here will change without a local place for home supplies. The tides of change are becoming more obvious as I see mounds of dirt near the bank – are they building the pyramids? Where will the farmer’s market go? I know a huge CVS will be built but will the homey charm of this neighborhood shopping area in the suburbs still retain that local feeling I like? The Big Y will improve and that is a very welcome change, but I might miss the small town feeling evident when we arrived here. Little businesses get swallowed up in this modern world, and I know that we must all adapt to the changing times. Bigger isn’t always better, although I know the bigger shopping options across the way at the shops will allow for a redesigned parking lot that we hope will bring with it a safer flow of traffic. I am just feeling thankful that my children knew a local old-fashioned hardware store that was warm, friendly and convenient. As for me, I will trek to Enfield along route 5 and think of the good ole days! I won’t go anywhere else – that is loyalty! I am feeling thankful that the tradition will continue nearby. This letter was submitted to the LongmeadowBuzz blog by a Wolf Swamp Road School parent who is concerned by process for selecting a new principal to replace Dr. Neil Gile. For the past 5 years, Wolf Swamp has been extremely fortunate to have Dr. Gile at the helm. He has brought incredible energy and compassion to the school, and we are all tremendously appreciative of his tireless efforts on behalf of our school community and wish him well in his new endeavor. Dr. Gile's departure is certainly a huge loss for not only Wolf Swamp, but the entire Longmeadow community. With Dr. Gile’s departure, Superintendent Doyle is responsible for hiring a new principal. The timing of Dr. Gile’s departure and Superintendent Doyle hiring his replacement is complicated by the fact that Superintendent Doyle is retiring on June 30th, and she will be replaced by Martin O’Shea. Therefore, Superintendent Doyle will never actually work with the new principal who is slated to start on August 1st. 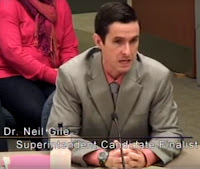 On Tuesday, May 3rd, Wolf Swamp parents received an email from Superintendent Doyle outlining a very quick application and vetting process for hiring Dr. Gile's replacement. The position of principal at Wolf Swamp is a very important one and unfortunately, this position has been a bit of a revolving door lately. Just during my own children's time here, we have had Kim Stillwell for a few years, Dr. Gile, and now this new hire will make the third principal in the past 8 years. We want to ensure that the person selected will be happy, stay at the school long term, and have a productive relationship with the superintendent. Considering that Superintendent Doyle is retiring before this new principal would even start, I think that it is in the best interest of the school community for the entire process of hiring the new principal to be in the hands of incoming Superintendent O'Shea. Although Superintendent Doyle's email refers to having Martin O'Shea involved in the process, I am not confident that he will be allowed to be an independent voice in the process with Superintendent Doyle holding the reins. Also, I am interested to know how much input Superintendent O’Shea has had or will have in this process as he is not officially working for the department yet. Did he help write the job description? Did he create the hurried time line? Will he help review the applications to determine which candidates are promising? Will he conduct site visits to finalists’ current districts? 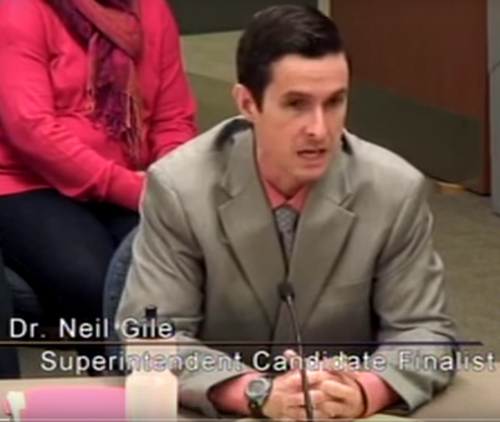 Who holds the final vote: Superintendent Doyle or O’Shea? Furthermore, the current timeline indicates that a decision will be made on June 13th, which would make this entire process only 6 weeks from posting the position to filling it, and only 3 weeks of screening, vetting, interviews, site visits, and consideration from the time of the application deadline. There are 4 days between the job posting being closed and in person interviews. How are these applications going to be vetted so quickly and interviews arranged in mere hours? This would seem to limit the pool to applicants in a very restricted geographic area and raises concerns about whether the position has already been earmarked for someone. It is hard to believe that a thorough review of candidates can be conducted in such a short amount of time. Curiously, June 13th is the day before town elections when two of the current school committee members' terms will end and two new voices will be elected to the committee. It would be fair and prudent to let these new school committee members have a hand in selecting the principal in conjunction with the superintendent with whom the principal will work. I am concerned that this process is being unduly rushed so Superintendent Doyle can select the principal and then leave without any accountability to the Wolf Swamp community. Therefore, I am asking Superintendent Doyle to respectfully and professionally step aside and allow incoming Superintendent O'Shea to lead the entire process. With a projected start date of August 1st, there will be time for the process to be conducted entirely under Superintendent O’Shea’s direction. I don't object to starting the process now by advertising the position; however, the review of applications, selection of candidates for interviews, interviews, and hiring decision should be entirely in the hands of Mr. O'Shea and the selection committee that is put together, even though that entails stretching the time-line. We are talking about a delay of a few weeks, which is worth it to get the process right the first time. I realize that the timing of hiring a principal is delicate and ideally completed prior to the end of a school year to ensure continuity between the outgoing and incoming principals. I understand that principals undertake an enormous amount of work during the summer in terms of including planning, restructuring curriculum, and squaring away budget allocations, and leaving the position unfilled is less than ideal. However, hiring this late in the current school year might handicap the caliber of candidates applying, as it is likely the best qualified candidates have already solidified plans for the upcoming school year. That being said, I feel that the time line for the search and hiring is being unduly rushed to fit into the allotted time left in the current superintendent’s tenure. My understanding is that principals usually receive 3 year contracts, and if this process is rushed to fit into manufactured timed constraints it could result in a less than ideal choice. This would mean Wolf Swamp would have to suffer through that time and then do the whole thing all over again and perpetuate the revolving door of principals. I think it would be better to have an interim person fill in so we can take the time to do it right. I fear that a bad choice in the principal’s office has the potential to poison the whole school. A three-year contract might not seem like a long time if the wrong choice is made, but please consider that is half of a child’s elementary school career. I understand that hiring principals is at the sole discretion of the superintendent and the selection committee has no real power. I am respectfully asking Superintendent Doyle to slow this process down to ensure that we have a thorough search of qualified candidates rather than a hasty rush to get the first available person who meets the minimum qualifications. Furthermore, I am asking Superintendent Doyle to cede the entire process to her successor, Marty O’Shea, since she will not work with this new principal. I truly think it is important for the new superintendent and the new school committee to have ownership and accountability for their choice. If the new principal turns out to be a disaster, Superintendent O'Shea should own it - he should not be able to blame Superintendent Doyle. And if, as I hope, the principal turns out to be wonderful, then he should get all the credit for it. I am writing this as not only a concerned parent of 3 children who are progressing through Wolf Swamp and the Longmeadow schools, but as a graduate of Wolf Swamp. For 30 years I have had a connection to Wolf Swamp, and I care very deeply about this wonderful school. It would be disheartening to see a rash process diminish the spirit and quality of the school. Please remember that we all want what is best for our children at Wolf Swamp. They should not have to suffer because there was a rush to check off a box before time expired. The Wolf Swamp community deserves a thorough process entirely under the direction of the incoming leadership team. If you support this effort, please join the group of Wolf Swamp parents at the School Committee meeting on Monday, May 9th at 7 PM at Longmeadow HS in room A15 (central office). A strong show of support is vital as we work to ensure that the process of selecting a new principal for our children is handled with the importance and time it deserves. Please also take the time to contact Superintendent Doyle and the members of the School Committee.